There's plenty for everyone to enjoy on Voyager of the Seas, but families are especially well catered for on Australia's largest cruise ship. 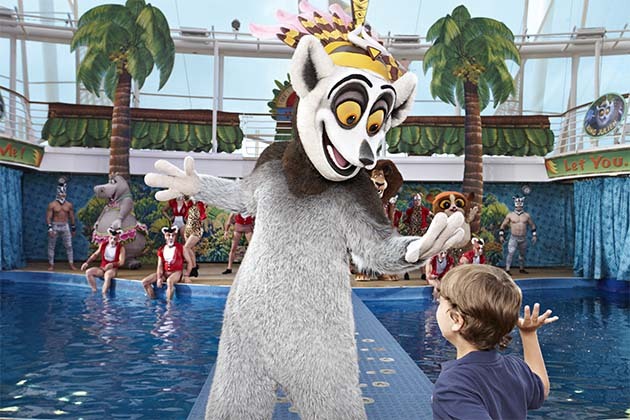 Think DreamWorks-themed parades, an ice skating rink, poolside movie screen, rock climbing wall and a FlowRider surf simulator. Whether you're travelling as a couple, family or with friends, read on to discover how to make the most of your time with these five Voyager of the Seas tips. 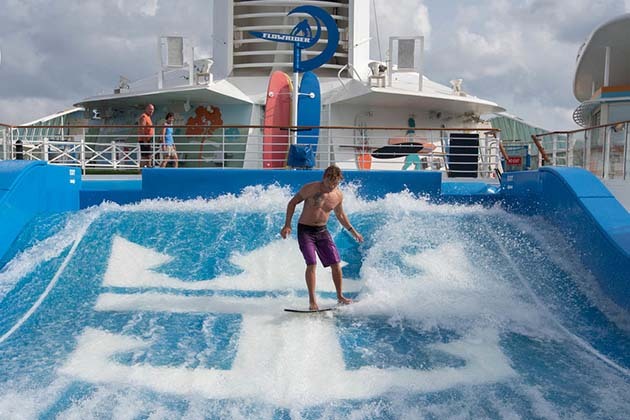 It can take a while for passengers to work up the courage to try the FlowRider, so hit the waves early in the cruise when wait times are shorter and there are no crowds. Not only will you get to enjoy more FlowRider fun, you will also look like a pro by the time everyone else catches on. Later in the cruise, if you want to beat the crowds, go on port days and for early morning and late afternoon sessions. Cruisers of any age will appreciate this high-energy 25-minute performance, which is packed with plenty of music, colour and action. It's amazing watching the professionals twirling, jumping and zipping around on such a small rink. 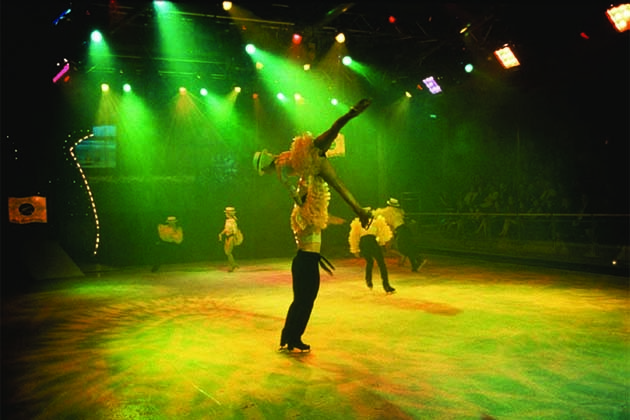 If you want to give ice-skating on the high seas a try, get to the rink at the start of each public session. Smooth ice makes skating easier, especially if you're a beginner. 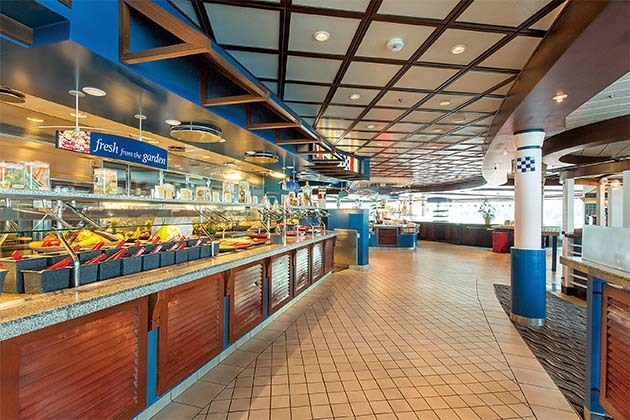 Windjammer Cafe is one of the most popular onboard dining options, especially for lunch on sea days, when finding a table can be a real challenge. For a more leisurely dining experience, drop in for lunch at opening time or after 2pm when it's quieter. You don't need kids to enjoy a meet-and-greet with the DreamWorks gang on the Royal Promenade. Mischievous characters like the Penguins of Madagascar and Puss in Boots know how to have fun with adults, too. When it comes to getting your photo taken, it's best to totally give in to their antics. (Be warned: Puss is a bit of a ladies' man!) Don't worry about whether you're making a fool of yourself; step up, and embrace the experience. 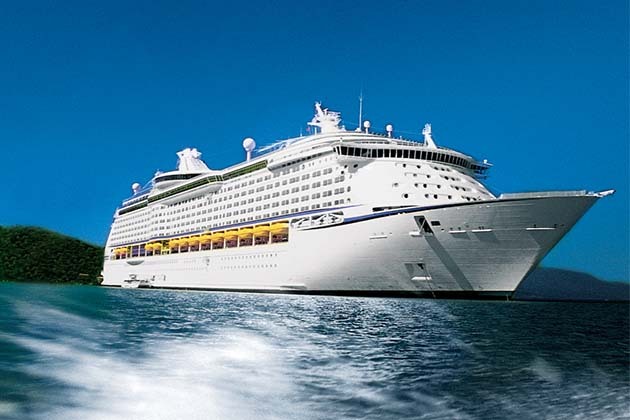 If you want to save money by opting for a room without windows, Voyager of the Seas is the ship to do it on. Aside from a regular inside stateroom, other choices include inside cabins overlooking the Royal Promenade or ones with 'virtual balconies' with screens that show ocean views streamed live from cameras on the ship. With so much to see and do, you'll hardly spend any time in there anyway.